Frankenstein: Master of Death is rated 3.4 out of 5 by 50. Rated 5 out of 5 by bwake47 from FUN GAME TO PLAY ! I agree with "tesamoine" and "SandraSwede". This is a fun little game to play. If your looking for a hard and challenging game or an easy, hand holding game, then this is not it. However, if you are looking for a game that flows well without a lot of back and forth, mini-puzzles within HOS, good story, good atmosphere, easy to understand puzzles, but challenging to solve, and just plain fun to play then this is the game for you. I enjoyed playing this game and did so without getting bored after an hr. This is the first game in a long time that I didn't want to stop playing. Pros: No real hand holding: If you got stuck you had to figure out what to do next. Not over-challenging, just plain common sense. You knew if you saw the key hole, you needed a key, screw needed your screwdriver, etc. No Extreme back and forth: You would find an item and knew you had to go back a couple of scenes to use it, but nothing like so many other games like we've experienced from top developers lately. Once you came across a tool, screwdriver, wrench, crowbar, etc. it would stay in your inventory until you no longer needed it. You didn't use it once, loose it, then have to fine another one. It was so nice knowing "oh, I need a crowbar, I've got that". Puzzles easy to understand: many challenging to solve. It is up to you if you had the patience to solve them. Several I worked on, then skipped to get back to the game. HOS: large items which sometimes makes it hard to spot. Blue items would require working a mini-puzzle or assembling before obtaining, again at times making you have to think. HEAR YOUR OWN VOICE: how often does that happen? Shocked me when I heard. I thought it was cool, however, the voice was way to gruff to fit the person you represented. Cons: I came across a few glitches that I would have to work around. What at first I thought was a glitch was actually me needing to do one more thing before I could obtain the object (season the meat before giving to the tiger). They was no hint I needed to do that. However, toward the end of the game it allowed me twice to go to an area, obtain an object, but not get it in my inventory or credit for going there. As it turned out, the area wasn't unlocked yet. So, there were a few glitches you had to deal with. All in all, I truly enjoyed playing this game. If I got lost (which was seldom) I could use the hint or map. It never left you hanging, not knowing where to go or what to do. Just use your common sense. I haven't had this much fun playing a game in a long time. Thank you devs for a job well done. I look forward to your future games. I know you will only improve as you go. You are definitely on the right tract to what we need. And thank you BFG for offering it. Rated 5 out of 5 by SandraSwede from Excellent game! I hope the developers come out with more games like this. The scenes are not overcrowded with things to do...excellent! FEW junk piles (don't think the reviewer claiming too many played the same game). Excellent map and hint system. Good storyline with little talk/cut-scenes (THANK YOU!!!) No hand-holding. No frills. Just excellent game play. The graphics are outstanding. Better a short but well-made game than a long and tedious game I end up deleting half-way through. Rated 5 out of 5 by SilentWindDancer from Good monster game I enjoyed playing this game. I liked the story line the games and the graphics were good. It was a nice shut in winter game for me. Someone mentioned the map as showing they had completed the areas needed. If you click om the map you can move it around showing the rest of the map and the areas on it.The map could have been improved upon in that I found out how to move the map around by accident. I used a free game credit and I was not disappointed. Rated 5 out of 5 by pennmom36 from Resurrecting The Dearly Departed My first thought when I seen this game was that it was going to be either really good or really bad, and I must admit that the story is intriguing and the graphics are pretty decent. This isn't the Frankenstein of yesteryear, but it does have all the familiar key components of the monster Frankenstein has created. Dr. Frankenstein has been experimenting with death itself as he searches for immortality, everyone wants to live forever, but does anyone want to become a zombie? This game is pretty basic, with only two modes of difficulty, but honestly the Hard mode isn't really hard, even though the game claims that you will beg for your life! There is a good map available as well as navigation buttons, the inventory button requires you to click on a blue sphere located on the bottom left if you want the inventory bar locked in place. There isn't an abundance of areas of interest in each scene, and you will be doing a lot of back and forth traveling as you find an inventory item in one scene that will be used in another just to receive an item needed in the scene you just came from. (but it totally works for this game!) 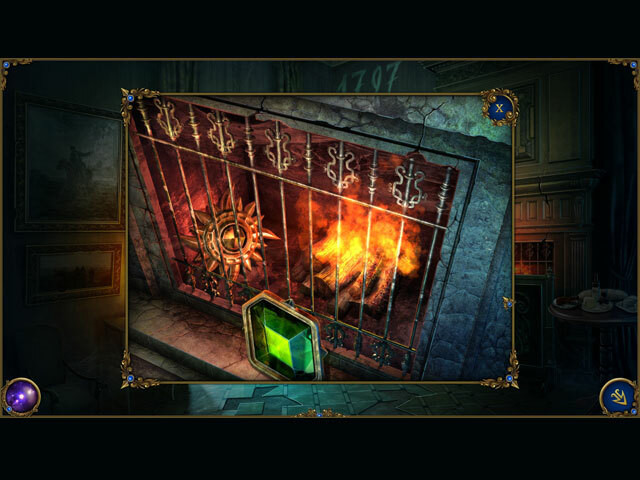 Almost every scene has a Hidden Object Scene, again pretty basic list finds, but the scenes are clear, the items are recognizable and there are a lot of items requiring interactions as well as small puzzles and codes to find to open up locked items. The mini games are fairly easy and uncomplicated, a lot of them involved moving items to the correct place, but when you moved one, others would move as well. I did enjoy the mini game where you had to move a key from the bottom right to the top left, along an electrical wire and if the keys ring touched the wire, you had to start over (took me several attempts) For a stand alone game without all the frills, this game is well worth purchasing with or without a credit. The story gives a slight twist to the famous Frankenstein tale of bring the dead back to life, and it's presented in a way that makes you continue playing because you just have to find out how the story plays out. Enjoy! Rated 5 out of 5 by roxyfoxy1 from WOW Nice Surprise Did not expect much but wow. We should have more games from this developer. This game has beautiful art, decent music and puzzles. Love the format, it was new and creative. Rated 5 out of 5 by Bar80 from Great Horror Game After playing the demo, I used a credit to purchase this game, but would have gladly spent the money to buy the game. I think it's a great game - especially for a none collector's edition. I thought the graphics were well done (electric-fied zombie/frankenstein running amok - need I say more? ), and the storyline engaging from the get go. The and puzzles/HO's aren't too taxing, either easy or hard, so those looking for a real challenge won't find it here, but overall a really great little horror game. Rated 5 out of 5 by zandu2 from Refreshing from all of the other games Nicely done. I enjoyed the game right to the end. The one item I loved the most is that the whole screen was clear. The menu, map, hint, inventory and navigation were all hidden with easy access when needed. A five star for that alone.. Voice over was great and the music was fine. The story was enjoyable and it will be a replay for me. Rated 5 out of 5 by Ms_Bells24 from Fun!! Liked this game from the start...has everything I like in a game from Big Fish. Fast help and skip button. 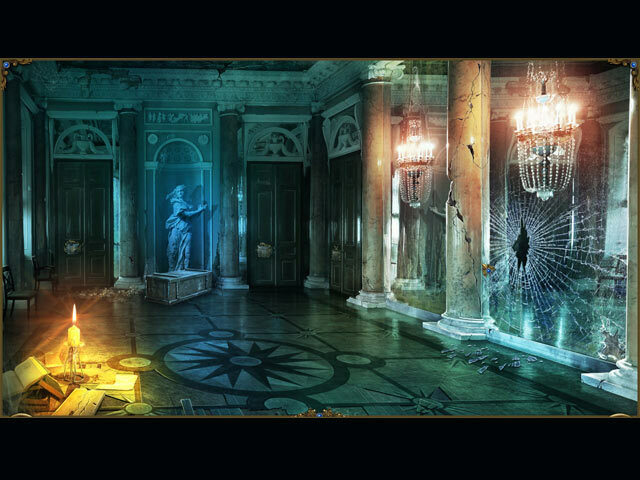 The hidden object games are not hard. Has a map, graphics are good. The border between life and death is fragile. 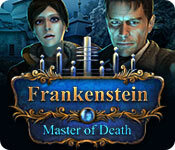 Restore the course of nature, solve puzzles and search for clues in Frankenstein: Master of Death!